This classic muzzle has an adjustable suspension for a custom fit. These traditional, classic muzzles are made from the highest quality materials — no expense has been spared. 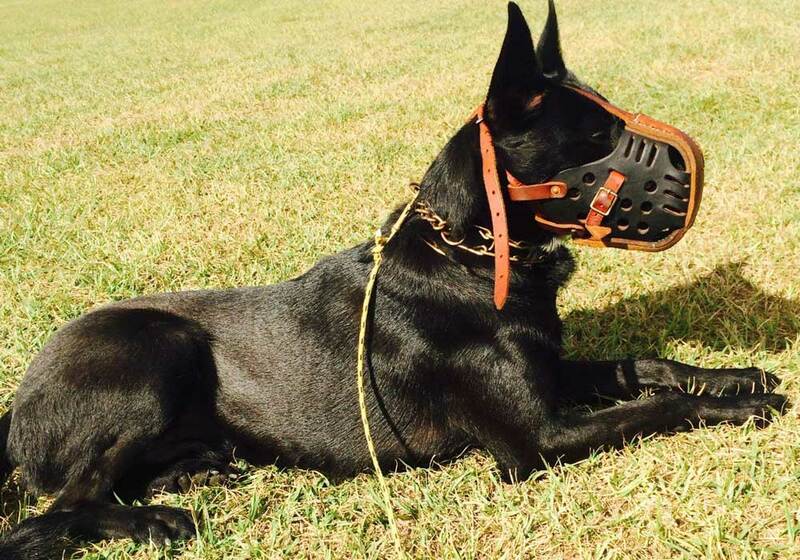 The Slammer™ is the most cost-effective, highest value muzzle in the industry. Old-world craftsmanship and exquisite, traditional styling make the Slammer™ Muzzle unrivaled. 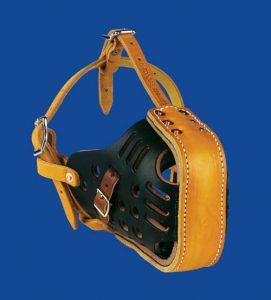 Many imitation muzzles are made from thin, reinforced sewn leather, but the Slammer™ Muzzle is the real thing. This traditionally-styled Police muzzle is made from a single piece of extra-heavy hide and the finest quality harness available. The rivets are made from solid copper, and the muzzle bridge is adjustable. 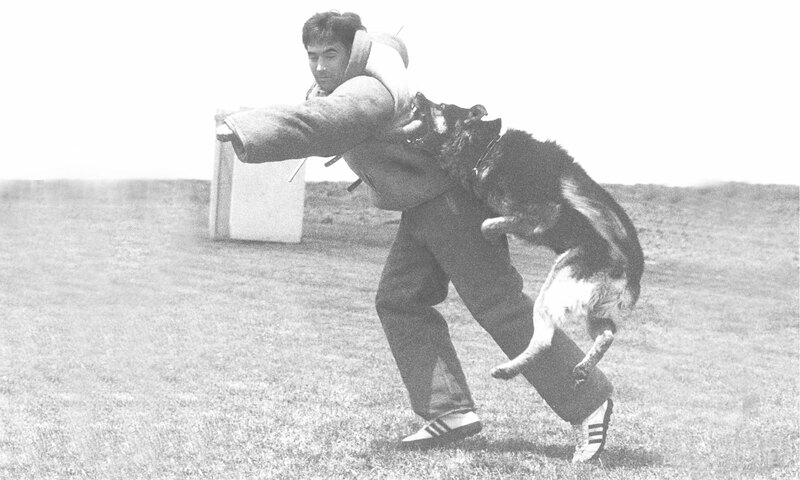 The S’Slammer™ is designed for Malinois and standard shepherds. The M’Slammer™ fits standard to large shepherds. The L’Slammer™ is for large dogs with wedge-shaped heads like Mastiffs, Rottweilers.